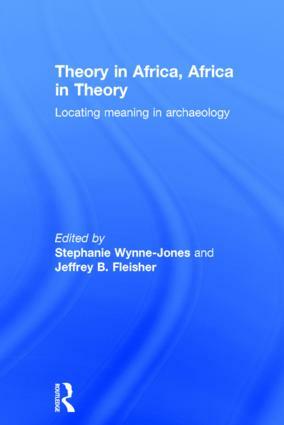 Theory in Africa, Africa in Theory explores the place of Africa in archaeological theory, and the place of theory in African archaeology. The centrality of Africa to global archaeological thinking is highlighted, with a particular focus on materiality and agency in contemporary interpretation. As a means to explore the nature of theory itself, the volume also addresses differences between how African models are used in western theoretical discourse and the use of that theory within Africa. Providing a key contribution to theoretical discourse through a focus on the context of theory-building, this volume explores how African modes of thought have shaped our approaches to a meaningful past outside of Africa. A timely intervention into archaeological thought, Theory in Africa, Africa in Theory deconstructs the conventional ways we approach the past, positioning the continent within a global theoretical discourse and blending Western and African scholarship. This volume will be a valuable resource for those interested in the archaeology of Africa, as well as providing fresh perspectives to those interested in archaeological theory more generally. Stephanie Wynne-Jones is a Swahili archaeologist at the University of York, specializing in East African coastal urbanism, material culture and social practice. Jeffrey B. Fleisher is Associate Professor at Rice University and Director of the Rice University Archaeological Field School.